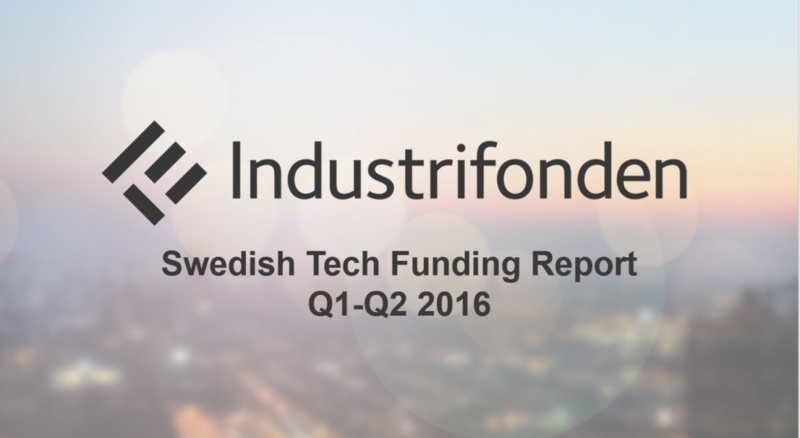 The Industrifonden Swedish Tech Funding Report Q1-2 2016 provides an analysis of the venture investment activity in Swedish private tech companies during the first six months of 2016. During that period, Swedish tech startups raised over $1.2B (SEK 10.2B) across 175 deals – thus surpassing the total investment figures for last year in the first six months alone. In total, Swedish startups engage 300+ investors – a number that has increased by 100+ per cent.